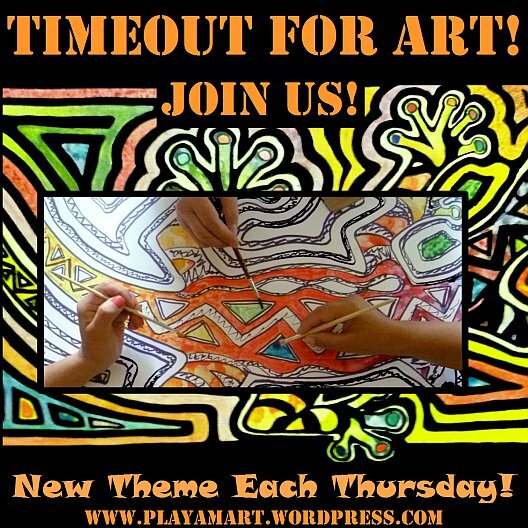 Timeout for Art – Let’s Draw a Toucan! OK, aspiring artists! Sharpen your pencils and get ready to draw! While scrolling through the photos taken over the past week, I critiqued the series of toucan photos with a disciplined eye. Four are shown below; “A” shows the personality of the toucan. “B, C and D” were similar with subtle differences, but one seemed stronger to me. Which is your favorite? If you were about to draw one of the four, which would you chose and why? Which would you chose to draw? “B” bird seemed relaxed in its environment. It also seemed heavy on the right side, as if an invisible line was pulling the bird toward the ground. “C” seemed to tap into its survival sense, and though I was almost hidden from the bird’s view, it seemed to sense a foreign presence. “D” pose amused me; like many humans who are suddenly aware of a photo about to be taken, this bird lifted its beak just a bit and displayed a classic profile. Most likely, it was definitely aware of a foreign presence, and it was preparing to take flight! For a painting, however, it looked too perfect, although I really liked the backwards “S” curve of its throat and neck. After appreciating the toucan’s body English, I tried – through a teacher’s eyes – to decide what made “C” more pleasing to my eye. It appeared more balanced. My analytical skills automatically stripped the images into basic shapes and directions, and I realized that I should slow down, decipher my methods and share a few easy ways to stay on track when drawing. Sometimes we start drawing in one scale, but we sometimes lose control of the ratio, and the end result is a drawing out of scale. Then we waste time trying to correct those first lines. Perhaps the head – of a bird or a horse or a person – is way out of scale with the rest of its body. By using the toucan photos and the gift of computer drawing programs, I will illustrate a few classic examples of how to stay in scale. Working with grids keeps the math skills strong! The easiest is the grid method. No; the easiest is via projection or tracing, but I am from the old school of mastering a skill and not using shortcuts. The grid method is very helpful, and most anyone can apply basic math and draw a precise grid on the photo then enlarge that same grid on paper. Anyone who has the patience to stick with drawing eventually weans away from this method and develops natural analytical skills. At that stage, drawing the grid becomes a wasted step. I don’t frown on it, and at times still use it when dealing with very complicated subjects or when transferring a drawing to a large floor. With computer programs, it’s easy to pop the grid in place, either by the ‘grid’ command – presto, it’s there, or by hand ‘inserting’ each line. I usually start by drawing the strongest horizontal and vertical lines, then radiate outward depending on the subject. Sometimes their just-drawn line might be pointing to four on the clock, when it should be pointing somewhere between three and four. There is a subtle difference when drawing, yet it makes a huge difference! The toucan was very considerate to pose with very precise alignment! That starting point was so strong on the toucan that it inspired this post! It’s very easy to see that the base of the bill and the start of the neck can represent the center of the clock, and the neck extends down almost exactly to six…until the bottom, and then it sort of tweaks a bit to the right to form a backwards ‘S.’ The other hand of the clock points straight toward nine, making a 90-degree wedge of negative space. Negative space is a very strong tool for drawing, and it is also important for a good design. For this lesson, we’ll focus on its use for drawing. After drawing those two basic lines, you have already mapped a large part of the bill and also its neck. Now look at that line that goes from the end of the bill to the center of the ‘clock.’ Continue that line to the right, through the neck of the bird, in the direction of ‘three’ on a clock’s dial. Eureka! Now you have the top of the back! The same concept works for locating reference points for the entire bird! You can do this! The waterfalls along Rio Cinto have been exceptionally beautiful this year. When working in watercolor, you can paint over the pencil lines, then when you are sure the paper had dried, erase the lines with a soft eraser. (I use a kneaded eraser.) If you are working with acrylics, the pigment will laminate the pencil lines, which show through the light colors. Remember to keep your network of lines – especially the grid – as subtle as possible so that the pencil does not detract from the painting. As with last week, this is scheduled to be posted on Thursday! Remember that Saturday the 14th is EBird’s Global Big Day – please take time to officially report the birds of your area! Each bird reported truly makes a difference! What a great, detailed post, Lisa. While i’m not going to be doing any drawing myself, I found it interesting, and I intend to pass it on this morning to another friend who is learning drawing. I’m not sure why I’ve never told her about your blog, but that little omission is about to be taken care of. As for the toucan? I liked the separation between the bird’s head and the branch above it in photo B, but in the end, I thought C was the best, generally. They’re such beautiful — and funny – birds. It’s always a pleasure to see your wild friends, in whatever context. Happy day! hope all’s gok there. youremost recent post is loaded and i will read it back at the property.. it’s raining hard and i should drive back while the roads and river are ok! Lisa, Always willing to share your knowledge. You just might get to see something that i drew – maybe even a toucan! Your teaching skills make it look so possible for a non- artist to make something beautiful. Love you. oh dear dear marie.. thank you, and my favorite painting experience always is the one with your healing/shoulder.. what a work of art, and what joy it was to watch you create it! gotta run.. it’s raining hard. A fascinating exercise and demonstration of preparing to draw – very helpful in helping to draw. Thank you Lisa for always giving of your knowledge and encouragement. Hope you are well – been thinking about you. I picked out ‘B’ after staring at them for a while. Something about the eye and the way he’s looking at you! i wrote a comment about your dog experience and lost the comment.. thanks for your support here, but wow, what a story you told… i hope you’re not affected by every new strange dog you encounter.. how dare those dogs sneak into your house! But Lisa- I wanted to see your drawing of the bird. 😦 A fascinating analysis though. ha! next post! thank you so much! Me, too. I want to see your painting. Thank you for your detailed instructions. I always have trouble with my starting point and perspective, so this will help me fine tune it. I am saving this post for reference. oh i misss you amiga, and hope one day to be online more than i am now. you are an artist every day, even if you’re not painting! hope you’re doing ok and that the rains have brought relief from the dry season. I loved this post, Lisa. Unfortunately, I have all the spatial and drawing skills of a three year old…part of the reason why I think art is a form of magic! thanks, anne, and i appreciate your support – whether it’s the art or even my early-morning jaunts with natue.. when something happens really early and i witness it, i always think of you! you’d love it, even if it’s difficuult to crawl out of slumberland before the sun awakens! First, this is splendid and I’m a new follower. Shoreacres sent me your way! I, too, hope to see the finished painting in time! Your instructions and illustrations make it very clear and I’m eager to try out your method! thank you so much, and i look forward to a new wp friendship! i’m online very little, so pardon that i am usually in silent mode… i look forward to seeing what’s happening in your world.. hopefully next time when i am in town. happy drawing/painting! We do draw quite differently. As an architect, you would think when painting and drawing I would use grid lines. Drafting and perspective drawing yes, but freehand no. I use more fluid lines when laying down shapes. Doing people, I will use angular lines to mark off features and body positions, yet body parts are rather oval. I started doing painting on the iPad and while it takes getting used to, it really is a lot of fun. I did hummingbirds and other birds as my first attempts. You did a great job explaining and helping those wanting to learn. You really are a wonderful artist. it would be so great if we lived where we could visit in person. we have so many intests in common, and you would LOVE to wander this cloud forest and stumble upon the amazing diversity of plantlife… the door is always open here, if you ever see a good rate and have the opportunity (and good health) to soar to the equator! Hi Lisa, just heard on the news of two more powerful earthquakes hitting you guys today. Please let us know that you are okay and well – It’s been reported that these two are connected to the first devastating to hit back in April. Worried about you ~ take care.